Paris and fantasy seem to be a popular combination lately and I've got to say, I'm here for it. 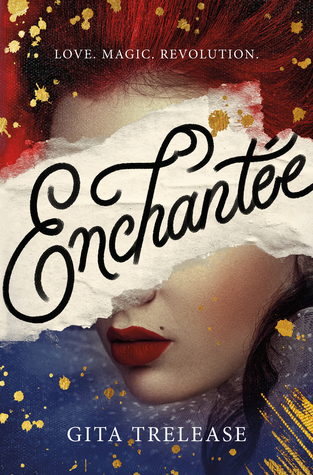 In Enchantée, Camilla Durbonne has the weight of the world on her shoulders as she tries to keep her sickly sister and unstable brother from complete and utter poverty after the death of their parents. To do so, she's been using a simple magic known as la magie ordinaire to transform metal into money to get what they need. But the transformation is only temporary and as she reaches desperate measures, she resorts to a darker magic which allows her to physically transform herself into someone who can waltz into the court of Marie Antoinette to try her luck at gambling. And even as that plan works, it's not without a cost and it's clear that she can only keep up this charade for so long, especially when she meets a balloonist who makes her yearn for more. I think the best part of the book was the setting (Paris 1700s = yes!) and how the magical system worked. The fact that there's a cost to it raised the stakes and it showed how Camilla was willing to do whatever is took to protect her family. It's a quality I admired in her, especially when I wished I could reach into the book and give her siblings a hard shake. I do think that's where the story lacked though – in the relationships which are supposed to be a major driver for Camilla. The siblings felt a bit too one dimensional and didn't evoke any emotions from me. Likewise, the love story felt too instant and predictable. But I did constantly root for Camilla and I think the combination of liking the heroine, the setting and the magic still made the book enjoyable. Do I recommend? 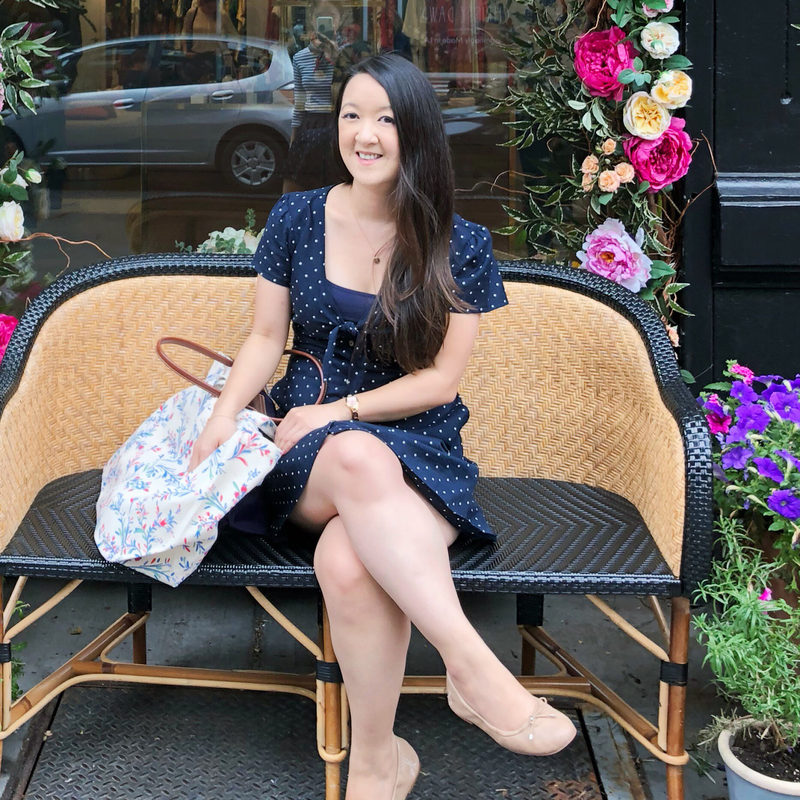 : If you enjoy fantasy and Paris, I think it's worth giving it a shot. I did have fun reading the book but it wasn't one of the more memorable fantasy novels I've read so far this year. 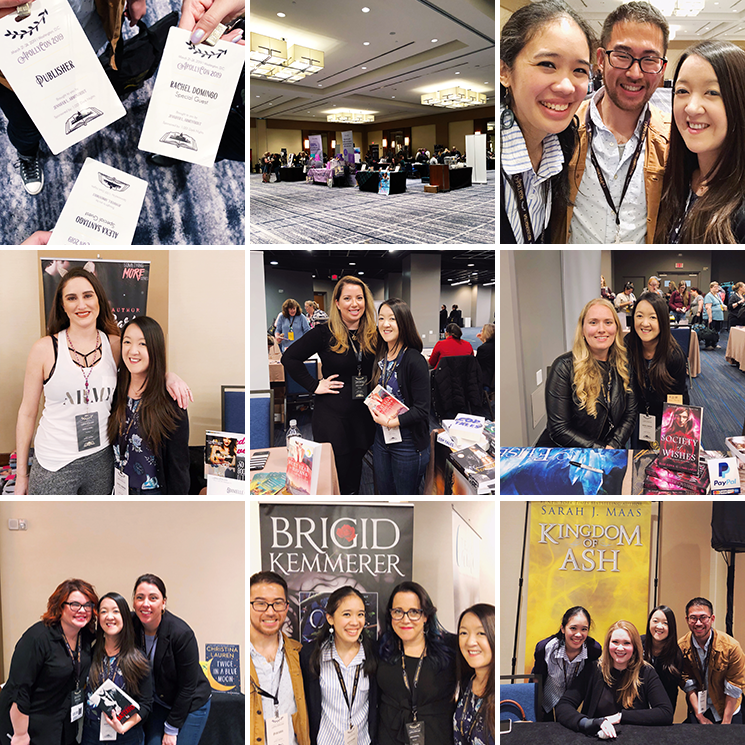 I've read 800+ page books before (Sarah J. Maas, Cassandra Clare and George R.R. Marin to name a few) but in the case of SJM and Clare, I hardly noticed because I'd fly through them. 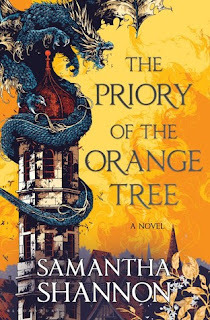 For the first 60% of Priory of the Orange Tree, I felt hyper aware of every page. It's so dense and while I understand that some of the world building called for it, there was obvious room to edit. Namely, I think the perspectives should've been handled differently. In the "official synopsis," we learn about three important women: Queen Sabran the Ninth who must conceive a daughter to protect her realm, Ead Duryan who is pretending to be a lady-in-waiting in order to protect Sabran with forbidden magic, and Tané who has relentlessly trained to become a dragonrider no matter the cost. But while all three are key players, only two of their point-of-views are shared while two more are relegated to secondary male characters. The secondary POVs were by far the weakest. Neither character added any emotional value but only served the purpose of conveniently moving parts around and sharing information. I wish their perspectives had been eliminated or incorporated differently because I was always counting down until I returned to the women's chapters, specifically Ead's. She is the best of everything this book has to offer and the reason why I kept reading. She was the only fully developed character who not only had an actual mission but showed personal growth and an emotional arc that I felt invested in. I also thought Tané's role was interesting but unfortunately I didn't feel a connection to her. I will say that once I reached the last 40% of the book, it definitely hit its stride and I found myself finally get lost in the world and these characters. I was getting more of Ead (and by extension Sabran) and revelations I didn't see coming! I just wish it had clicked sooner because the level of detail that went into the world, its back story and magic is absolutely impressive. Do I recommend? : It's hard to say. Had the book just been written through the eyes of the three women, I would've rated it much higher and said yes I absolutely recommend. But the length and the time it takes to find its footing is problematic. It took me a week to read (which almost never happens) and I felt so exhausted from fantasy by the time it was over. So my recommendation is -- if you really want to read this, then of course you should but have at least a week's worth of contemporary books lined up to read afterward. I'm still working up the energy to read Priory of the Orange Tree--it's just so long. 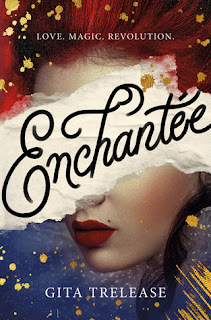 I really enjoyed Enchantee and the more I think about it, the more I find to like. The magic system and Camille's strength as a heroine made up for a log of the shortcomings for me.